A fixed price with no hourly rate, so you know exactly how much your Graphic Design project will cost. As much time spent designing your project as it takes to completely satisfy you – there is no ticking clock limiting the amount of time our Pembrokeshire Graphic Designers will spend working for you. Free Graphic Design if you have your printing or banners printed with us at the same time, saving you money. A 50 year old design studio with 2 Graphic Designers in Pembrokeshire, giving you a wealth of knowledge and experience. A free photography service covering the whole of Pembrokeshire to save you time and money. Freedom to register your own copyright, giving you complete ownership of the logo and work your designer creates for you. Everything supplied to you on disk, so you can use your logo and graphic design time and time again, without paying a penny more. 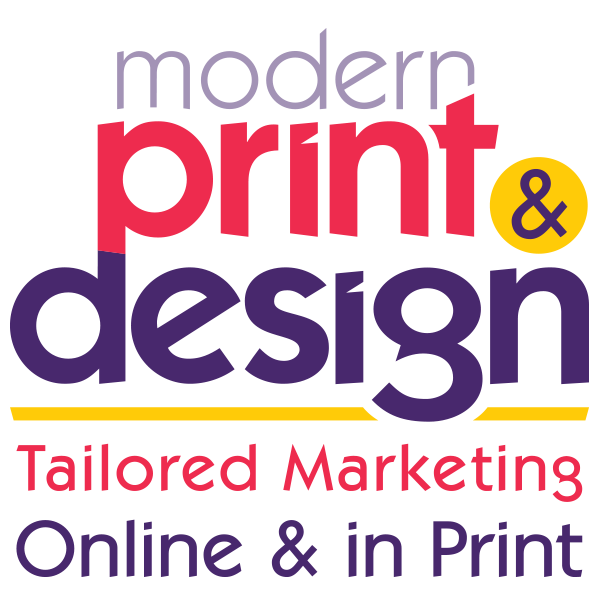 For 50 years Modern Print & Design have been helping businesses like yours in Tenby, Pembroke Dock and Haverfordwest, with their Pembrokeshire Graphic Designers. So when you visit you’ll have an experienced graphic design studio at your disposal. You will also get award winning customer service, giving you as many consultations with your graphic designer as you want at no extra cost. Call Modern Print & Design today on 01646 682676 for the best Graphic Designers in Pembrokeshire and to see examples of Corporate Branding. Alternatively email us here. For more information on what our Pembrokeshire Graphic Designers can do for you, call 01646 682676 today or email us here.